Creativity can be inspired by many things. For a painter it might be the contours and colours within a particular vista, or for a photographer the beguiling light of sunset. For me, as a serious science correspondent, it was a pair of magnetic underpants. To be more precise, it was a miss-read of the name of the underpants. The short version… I was flicking through my favourite West Norfolk Sea Fishing Catch Reports online forum (quite niche), when on the obligatory advert column on the right, a picture of these underpants caught my eye. 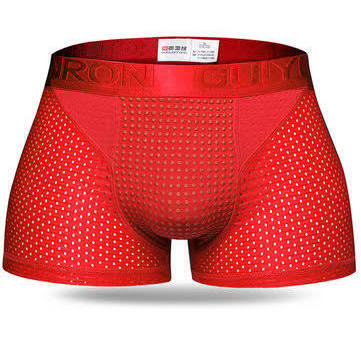 And I couldn’t believe they were called “Iron Guy Magnetotherapy Boxers”. Iron Guy! Take a look. The chuckling cheek of it. Except they aren’t. I now know this because I did something that you should never ever do when it comes to any advert that could remotely concern male performance enhancing paraphernalia. I clicked it… we all know this could open up a world of tablet infesting, email corrupting, web browser bending, wife explaining nonsense. But there they were, $9.95 a pair, in various colour choices, and scientifically proven to enhance circulation in a specific area that thrives upon a significant increase in its circulation in order to do its thing. And they are not called Iron Guy… that’s an N before the Ron and there’s an I before the Y. Uncanny. Back to the inspiration… it was the word “magnetotherapy” that got me. I am a bit picky about the word “therapy”. I have been dragging it around in my job title for half a lifetime and you get precious about it. It gets tagged on the end of all sorts of things in order to give them a slight inkling of a genuine medical application… such as Crystal Therapy, Aromatherapy, Hot Stone Therapy or proper outliers like Thought Field Therapy. And of course if you provide therapy then it stands to reason that you become a therapist… which isn’t a problem other than it creates a crushing sense of desperate blood boiling anger within my own seething and fractured chakra. To help me with this I am going to self council myself in front of you via the medium of fact expressed as words. Lets call it “truthotherapy”. And lets take on the common household “permanent” magnets that are used within retail magnetic therapy. They are packaged up and sold to folks in alarming quantities. I urge you to put the words Magnetic Therapy into Amazons search box and see what comes up. I mean the word “alarming”. Sports bracelets, patches, ear rings, insoles, mattresses, pillows, gloves, bras… and just plain daft stuff like this. 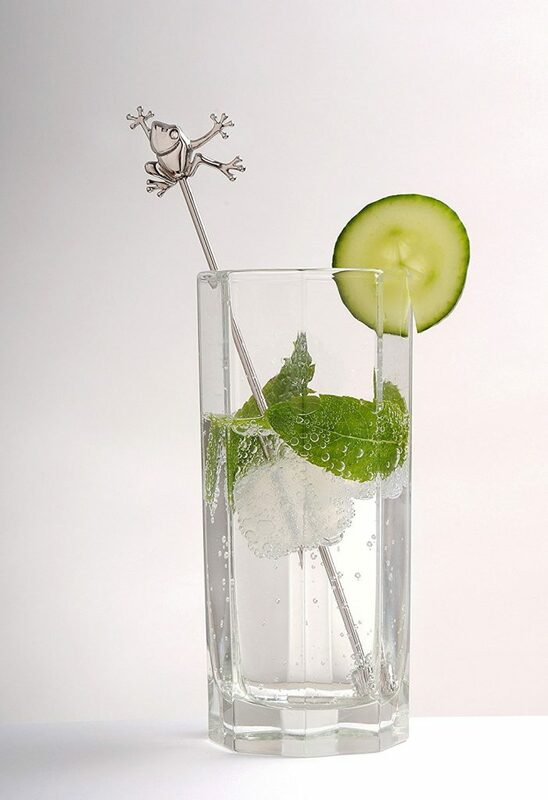 It is a magnetic stick to stir your drink with and is yours for 20 quid. There is some hugely misleading and frankly untrue pseudo science that goes with it. I am going to paste in the list of benefits you will get if you use one. I want you to carefully read them and try and keep a straight face. You just can’t write this stuff. If you are a “sub-healthy sport avoiding driver” I definitely recommend the drink stick to you… in fact buy 300 of them, put them in a rucksack and go for a walk. But avoid lamp posts in case you get stuck to one. All of the above are nonsense. The fixed state permanent magnets that are peddled to the unsuspecting do not release energy, and there are no particles. I know this because I have a rudimentary understanding of the First Law of Thermodynamics. It’s not a law like “don’t shoplift”, but it is proper science. A lad I used to play 5 aside with had it tattooed on his right ankle, and Newtons First Law on his left. He is Head of Science at a local school and you gotta be pretty confident that it’s true if you are prepared to ink it. I know this doesn’t constitute “evidence” but I wouldn’t grace magneto-quackery with that rationality. If you are in doubt go fish out any Key Stage 3 Physics text book… its all in there. As regards improved sleep quality… back in the day before this sort of inter-blether, I wrote some articles for a national newspaper and one concerned the validity of so called orthopaedic mattresses. As part of my research I visited a couple of University Sleep Study Units in the UK. One overwhelming fact struck me when talking to sleep boffins… that is how difficult it is to measure the “quality” of a persons sleep. And also how difficult it is to identify factors that help you sleep “better” because of the measurement thing. Frustrating for them and the kind of thing that would keep you up at night. None of them were studying, or remotely interested in magnets. Enhancing the immune system… if I had a pound… argh. It’s a universal quack claim. The immune system is exactly that… a system. It revolves around an interplay of bio-chemical-neural-cellular-nutritional components, which makes you think I know a lot about it, but I don’t. But I know folks who do. They collectively work hard to identify and understand the system, and then how to effectively fix that system if it becomes faulty. They wear white coats in path labs and medical wards in every single hospital in the land, and they save lives. They will work day and night to find a way to raise your neutrophil count, because if they don’t, you are a gonner. They do use magnets though because by the nature of their work they have a lot of fridges, and even path labs need brightening up. You don’t mess with the immune system, you don’t make unrealistic claims about it, and you shouldn’t take it for granted. Improve the bodies oxygen content… do I really need to go there. So by oxygen content I am thinking they mean the level of oxygen saturation within red blood corpuscle haemoglobin. The body is actually pretty picky about that and it likes to run at a steady state of saturation within quite defined parameters. It’s the thing they measure with the clothes peg on your finger if you are unlucky enough to be in hospital. Falling saturation rates, or going “hypoxic”, is not great news and needs sorting (by clinically reasoned medical care… not magnets). If you are not in hospital you are almost certainly wandering about with oxygen saturation levels within the bodies desired picky parameters. Now lets say that wearing some form of magneto-magic is supremely effective at improving your bodies oxygen content, as they claim. That has to be superb news… more oxygen, more go, more fuel, more everything. Well… no. Too much oxygen and you will quickly begin to suffer from hyperoxia, or in English… Oxygen Toxicity. Nausea, drowsiness, convulsions, diaphragm spasm, generally bad stuff. Divers get it when exposed to high concentrations of supplemented oxygen. If your oxygen “sats” are currently at the normal recommended level (which they will be), then it is both completely unnecessary, and clinically unwise, to increase them. Either way don’t worry if you have recently bought a magnetic neck scarf or something, because there is no evidence that they live up to the oxygen increase claim anyway. As for the mineral elements? I’m guessing you’d have to lick a magnet an awful lot. I know they don’t grate well. So that brings us back to the most prominent claim associated with the magno-menswear in that they can upgrade your firmware via the mechanism of improved circulation. In fact the circulation claim is almost universal within magnetic product marketing… just look at those strap lines on that Amazon search. So how do magnets improve our blood circulation? That was a trick question. It is a technique used in magneto-marketing (and all other quack marketing as well). The question is posed in such a way that the improved circulation is already a given, and the hawkers will go on to answer it with a load of pseudo-science. Trap set. With magnets their rationale almost always revolves around iron. It goes like this. The body contains iron, much of it within the haemoglobin compound in red blood cells. 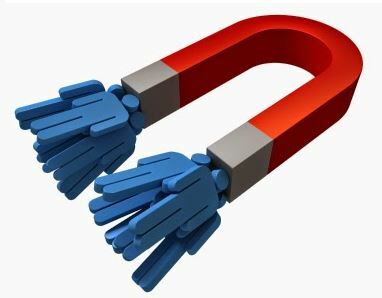 The magnet draws iron towards it, therefore it attracts an increased blood supply. Beautiful science. Except it isn’t. The ferrous iron compound within haemoglobin is of a different configuration to plain old trace iron and it is NOT magnetic or attracted to magnets. A magnetic wrist device has as much chance of attracting haemoglobin as strapping a leek to your forearm. Perhaps the wrist magnet or sticky patch just isn’t big enough. Maybe you need more magnets, as in the ever popular mattress under/overlays. Well obviously they don’t work… at all. But what if they did? They would attract blood, the blood would have to stay there… that’s the nature of attraction. But the body has an effectively fixed volume of blood, so if much of it is being attracted to the parts of you closest to the overlay, then the other parts will be running short, such as the front of your brain. I found a great graphic demonstrating this on the excellent website www.sillybeliefs.com I will let you decide if purchasing a magnetic overlay will be a healthy choice. At this point I am duty bound to tell you that if the magnet jiggery-quackery doesn’t get you with their incorrect iron theory, then they will try and hook you with their ion theory. They drop a letter, and drop some more pseudo-science about magnetic fields and positive and negative ions and some sort of electrically charged particles (in my experience if you see the word particle used by health paraphernalia vendors… run). Needless to say they are confusing ionic motion created by electro-magnets with the lack of ionic motion caused by their retail permanent magnets. But I am losing the will to write now, and if you want to look further into why retail magnets have NO beneficial ionic motion effect at all I would refer you back to the gang at SillyBeliefs here… they maul it. Back in 2006 a BBC “expose” described the permanent magnet therapy product market as a worldwide business worth over 1 Billion pounds. A decade later we can presume that internet retail and lack of quack regulation will have added more billions. There is good news though. Forget magnets. There is a force out there that can provide remarkable health improvement and life changing benefits. 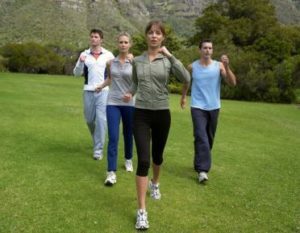 It is proven to create measurable and visible beneficial change within the human body. This remarkable “life force” is also freely and constantly available, in fact there are only 3 living humans for whom it is unavailable right now (that’s a conundrum… answer below). It’s something that scientists, medical, health and sports professionals all agree works and are entirely happy that the evidence base supports its use. They urge everyone to take advantage of it. It is called gravity. If you learn to work with gravity, and do it regularly then the list of health benefits it can produce is frankly…. ridiculously long. Gravity therapy has to be the most important healthcare application probably ever. Penicillin, x-rays, antiseptics, and Head and Shoulders shampoo are all remarkable health landmarks, but they just don’t have the gravitas of gravity. As an underground health correspondent I have been able to go out into the field and source some remarkable images of the use of gravity therapy. This bunch not only use gravity therapy, but they will also sell you it, and for the price of one magnetic straw you can get a months access to some decent body changing stuff. This bunch have decided to get their gravity therapy for free and are doing a version called “power walking”. It’s exactly the same as normal walking, but with dance moves. I’d recommend you find a Gravity Guru because the essential ingredients of their therapy are something called the floor and exercise. You should spend some time with him/her. This lady has a lovely track suit. 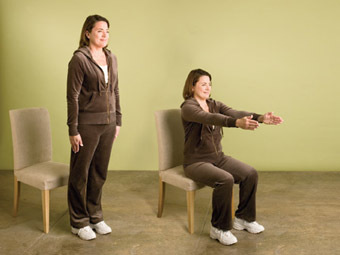 She is wearing it because she is doing a gravity therapy exercise called a stand up/sit down. It’s not particularly complicated but if she does it enough… lets say between 10 and 200 times, depending upon her current level of fitness, it will produce muscular adaptation, neural drive, cardio-vascular challenge and circulatory mobilisation, she will increase her metabolism, burn calories, produce beneficial exercise induced hormones and make her bones stronger. It’s powerful stuff. There is far more quackery and charlatanism around in the 21st century than there ever was back in the 19th. Back then the snake oil peddlers had to find you, but now you only have to open your laptop, or switch on your phone, and within a few clicks the giants of online infrastructure will make all manner of unsubstantiated and unregulated medico-piffle available to you. Retail far outguns regulation, and the economics ignores the evidence. I can only hope that if you do suffer from a magnetic attraction… I have ruined it. Bob Wood, physiotherapist at Physical Solutions. Specialising in rehab, LTAD, practitioner and coach education, and working on "movement improvement".